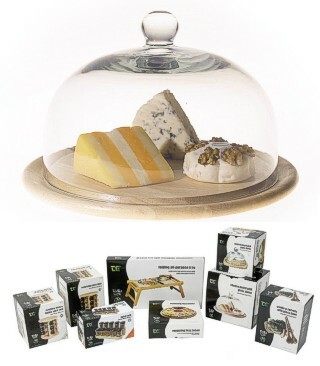 This large cheese board made by T&G Woodware, features a large glass dome that helps to keep your cheese fresh and moist. Its simple and elegant traditional design has been around since the Victorian times but will sit comfortably with todays kitchens and furnsihings. Attractively gift boxed and made of managed hevea wood, the base is 30½ cm in diameter (12¼ inches) and with the dome the total height is 17½ cm (7 inches approx).